Chartered in 1978, Gamma Nu is Seton Hall College of Nursing's chapter and has over 300 members. The 32nd Annual Reinkemeyer Research Conference, co-sponsored by Seton Hall University College of Nursing and Gamma Nu Chapter of Sigma, was held on Friday March 8, 2018. This was the first time the conference was held on the new Interprofessional Health Sciences Campus in Nutley and over 100 attended. Chaired by Afua Ampiaw, MSN, RN-BC and Kimberly Conway, PhD, RN, both members of the CON faculty as well as Gamma Nu leaders, the conference once again provided a stimulating day of presentations and networking. 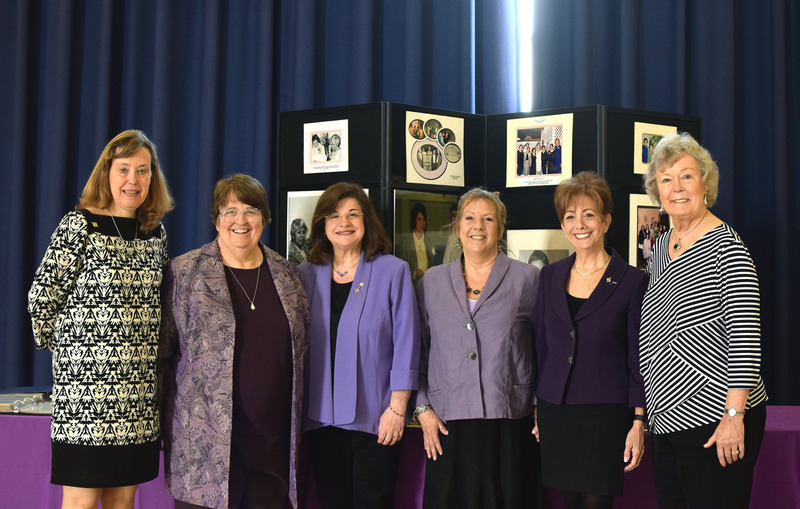 The agenda featured podium and poster presentations from Seton Hall's health sciences programs, in celebration of College of Nursing's move to the new campus. This year's keynote speaker was Tracy Perron, PhD, RN, CNE, CSN, Assistant Professor of Nursing at TCNJ. Her presentation, The Evolution of an Interprofessional Approach to Combating Childhood Obesity in an Urban Setting, described a collaborative community-based project that engaged nursing, health and exercise sciences students in interventions aimed at improving the lives and health of school age children. 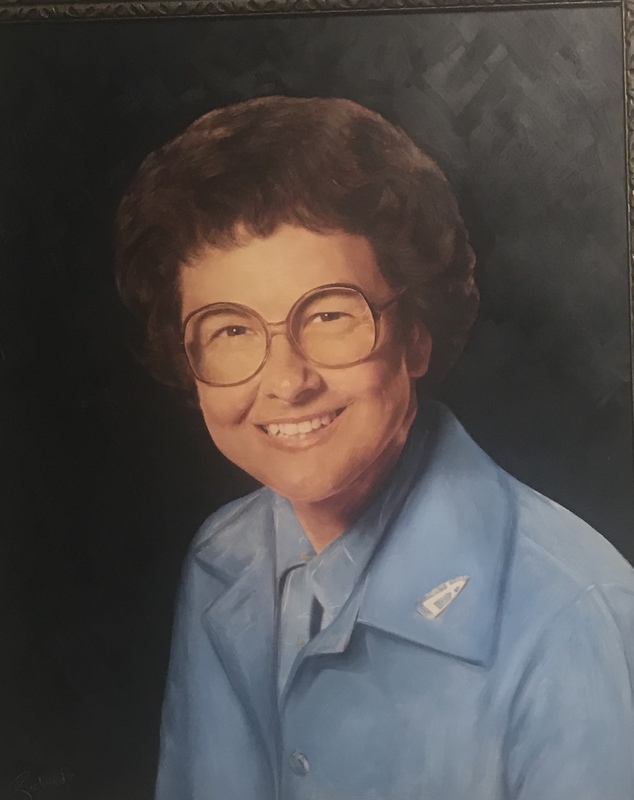 Since its inception, this annual nursing research program has been called the Reinkemeyer Research Conference in honor of Sister Agnes Reinkemeyer, the third dean of the College of Nursing at Seton Hall University (1968-1977). She was the first dean to have an earned doctoral degree, receiving a PhD in nursing education from the University of California at Berkeley in 1966. Sister Agnes had a visionary approach to nursing education and practice for that time. “Much must be done to improve certain aspects of nursing education and nursing practice. 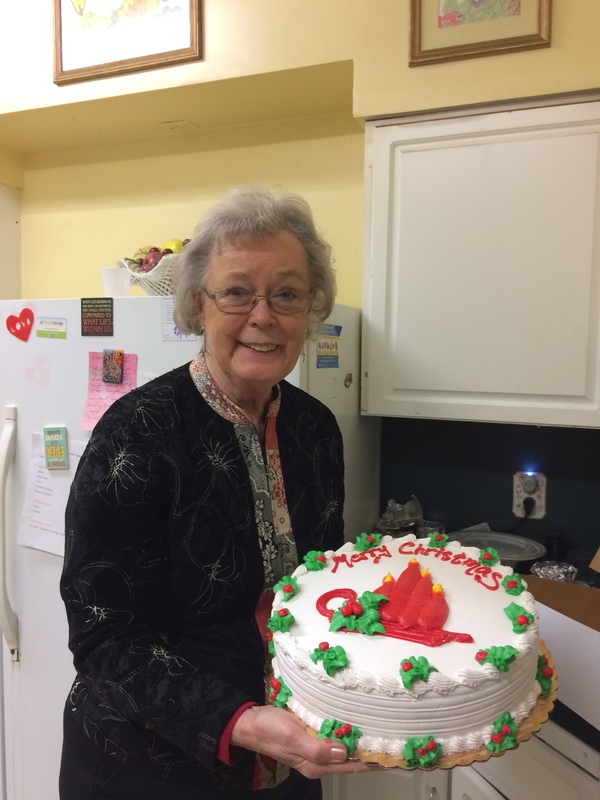 No giant step forward will be taken in either direction unless nurses become serious about doing and using research in nursing.” Sister Reinkemeyer nurtured the initial graduate nursing programs and the Gamma Nu chapter of Sigma Theta Tau International. 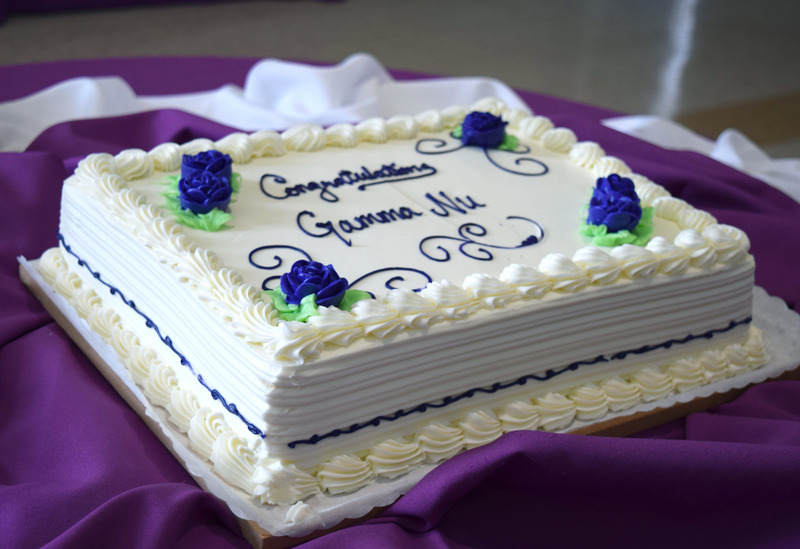 Gamma Nu Chapter celebrated its 40th Anniversary on April 28, 2018 with Mass in Immaculate Conception Chapel followed by brunch in the University Center. Guests included several founding members and past presidents. 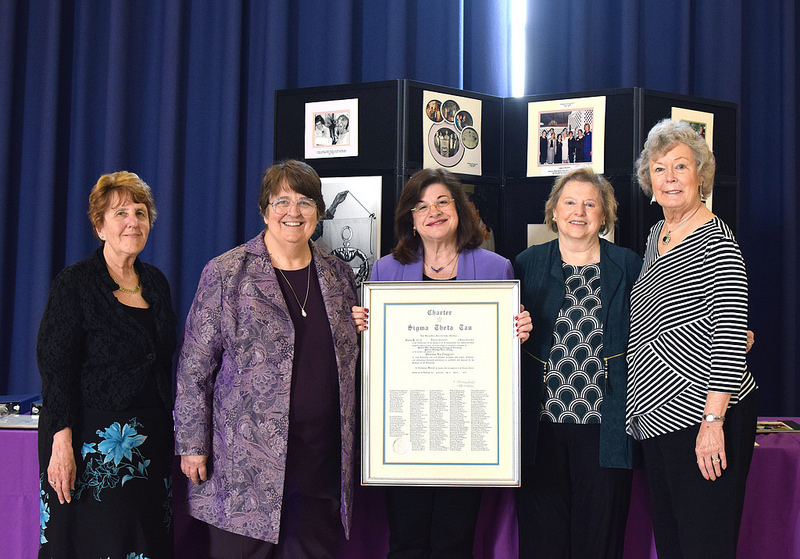 Gamma Nu Founding Members pose with the chapter's Charter in front of a display of Gamma Nu memorabilia. The President-Elect may succeed into the presidency at the end of a one or two-year term of office. Communicate to the public the purposes of the society. Be chair of committees, as needed. Learn the chapter operations and facilitate the achievement of chapter goals and mission of Sigma Theta Tau International. Oversee the process for completing and submitting the Chapter Key Award application. Be chair of committees, as needed. Succeed into the office of president and serve until the next election in the event that the president vacates his/her office during the two-year term. Oversee the planning of chapter programs ensuring that at least two programs or events that support the honor society's purposes and goals are held each year. Record and write the minutes for each Board of Directors and business meeting. Distribute minutes to all members of the Board of Directors. Keep an official record book of the minutes of all Board of Directors and business meetings to present to the succeeding secretary. Prepare an annual report to the chapter membership. We would welcome members to participate in the Awards and Scholarship committee. This is a non-elected role. You will work with the Committee chair to develop and review criteria and funding for recognition awards and scholarships. Assist in the recruitment of candidates for awards and scholarships - locally, regionally and internationally. Assist with the application process. Ensure that all applicants are notified of judging results, selected or not selected. Encourage chapter members to apply for international awards. If you are nominating a colleague, please obtain their permission before submitting the nomination. If you are interested in becoming involved with Gammu Nu, participating as a board member of on a committee is a great place to start. Please forward nominations to Benay Johnson at benay.johnson@shu.edu by May 1, 2019. April 21 at pamela.galehouse@shu.edu. Please see the discussion board below to access the application. The scholarships are available to faculty as well as new inductees who meet the criteria. They will be awarded on April 26th at the Induction Ceremony. Gamma Nu is offering a $1000 research award to active members of Gamma Nu who have a minimum educational preparation of a Master’s degree in Nursing or a related field. Proposals are due April 1, 2019. See the informaiton posted on the discussion board below for additional information. Gamma Nu celebrates and thanks its members for their generosity in supporting the Sigma Foundation for Nursing's Heritage Society. The Society has over 400 Fellows who have made an investment in all generations of nurses around the world.